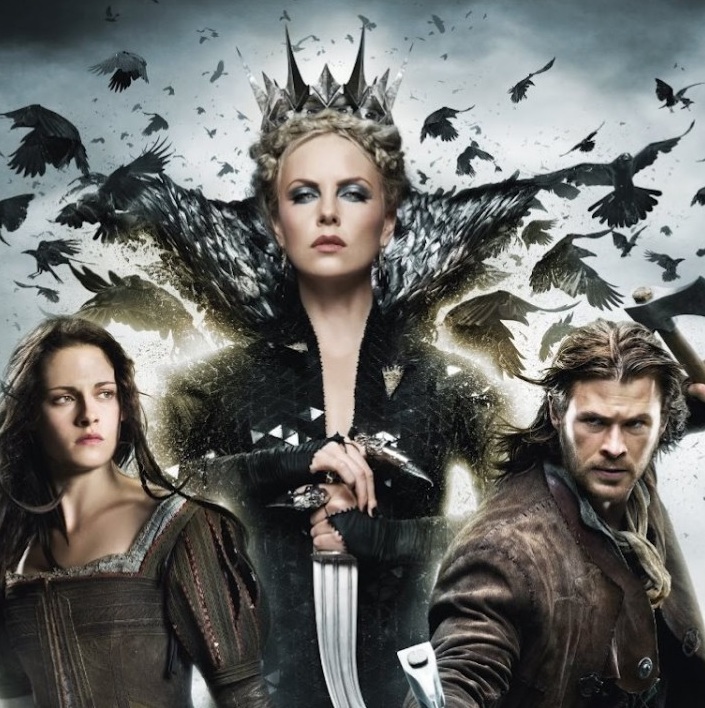 I have just seen the movie “Snow White and the Huntsman”. And I must say this is one enjoyable film. What I like most about the movie is that viewers need not have to bring a lot of brain cells with them inside the theater to comprehend the storyline. Though the approach of course is modern, it was somewhat still faithful to the iconic fairytale. I appreciated the director and writer’s improvisation about the character they made out of Snow White. This is especially true at the latter part of the movie when Snow White – the classic wimpy damsel in distress – stood up and fought for her civil liberties and be the rightful queen of her kingdom. To add to this appreciation, the movie is so pleasant it featured four magically engaging beauties (Charlize Theron, Kristen Stewart, Chris Hemsworth and Sam Claflin). Second, I was a bit disappointed when the classic anthems in the classic Snow White movie were not performed. I would have appreciated it more if the seven dwarfs sang “Heigh Ho” and Snow White belted “Someday My Prince Will Come” when they were at the Sanctuary, The Land of the Fairies. The adults inside the theater who grew up in the era of the classic Disney version for sure are actually waiting for these numbers. Third, I know that that the costumes, the production design and the make-ups of all characters were very impressive. The visual effects were actually beyond my comprehension. I can say it’s the fairest of them all. However, I failed to see the humongous “kulugo” (wart) on the nose of the wicked Queen Ravenna when she was turning into an old ugly witch. 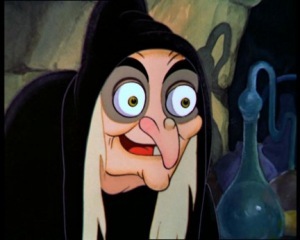 In the classic cartoon version, the wicked witch’s facial wart is so prominent you would be too stupid to miss it! May pagnanasa pala si Isno Wayt kay Mayti Thor!